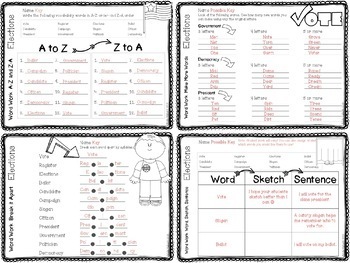 There are 8 activities that can be used at different parts of your instruction. 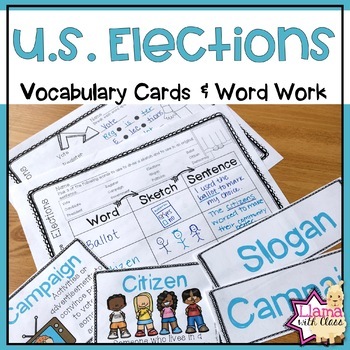 Some activities (1-4) are great for introducing the vocabulary at the beginning of the unit. 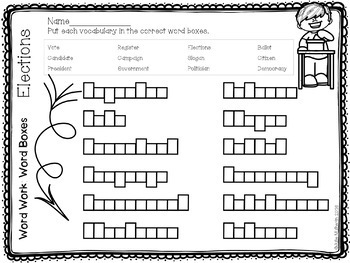 Other activities (5-6) require students to know definitions of words, while the final activities (7-8) require students to apply their understanding of vocabulary words. An answer key is included. Black & White printing options are also available. 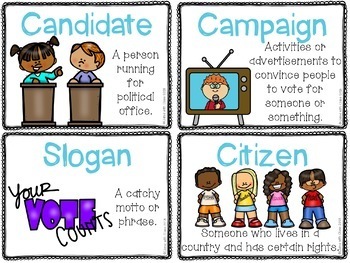 Looking for other US government activities?